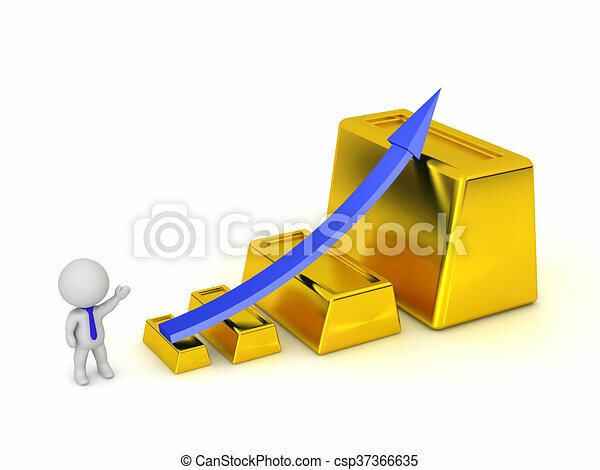 3d character showing statistics arrow going up and large gold bars. 3d character showing statistics arrow going up and large gold bars. isolated on white background. 3D character showing statistics arrow going up and large gold bars. Isolated on white background.